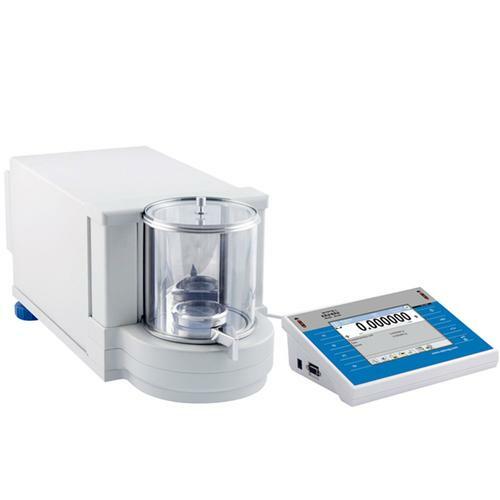 Microbalance comprises two major components (an electronic module and a precise mechanical measuring system which are enclosed separately). The device design eliminates an influence of heat sourcing from instruments electronics on its mechanical components and additionally protects it from shocks and vibrations caused by users operating the instrument. 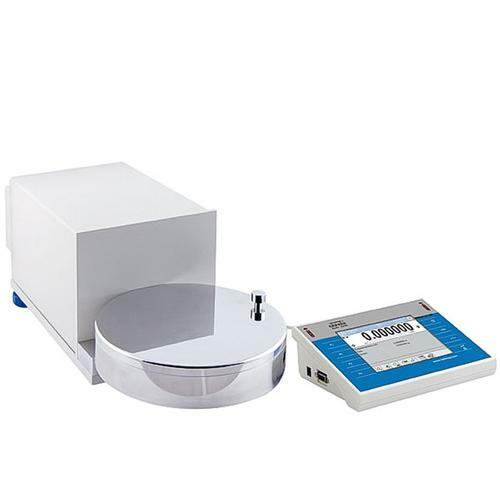 All the elements of a microbalance are made of glass and steel which eliminates an impact of electrostatics on weighing process. Faster measurement with the new CPU - 4Y balances feature Dual Core 2 x 1 GHz processor which delivers noticeable performance improvements including faster operation and shorter stabilization time retaining high repeatability values. Monitoring and elimination of electrostatics - Installation of an additional deionizer module in a weighing chamber facilitates automatic detection and elimination of electrostatics effect to which both, sample and container intended for measurement may be subjected. 8 GB of memory – more data management possibilities - 8 GB of memory offers possibility of recording data in a form of complex reports. Time and statistic data diagrams on series of weighments are another useful option. The best possible repeatability and USP regulations conformity - The best weighing accuracy and repeatability – with sd = 1d combined with USP regulations conformity (Section 41 and 1251) make 4Y balances a new standard for mass measurement quality. Ergonomics and safety - Wireless communication between balance terminal and a weighing unit make it possible to comfortably operate 4Y series balances in laminar air flow cabinets and fume cupboards. Remote control operation - Wireless Connection offers wireless transfer of data recorded by 4Y balance to any portable device powered by iOS or Android systems using special applications intended for data management. Data safety - Every single 4Y balance features ALIBI memory designed to provide protection and automatic recording of your measurements. Options such as data preview, copying and archiving are also available to users.